The Liebster is doing the rounds again and I've been lucky enough to be nominated by two of my favourite blogs - Tricky Wolf at Fast-SOS and Kirsty at Rural Retreat Restoration. 1. If someone threw you a surprise party would you love it or hate it? 2. If you had a warning label, what would yours say? 3. Do you have any fun family traditions? Too many traditions to list! Most around Christmas and enforced by my sister! 4. What’s your favourite book of all time? A really tough one I have no idea really, there are so many. I guess one that really sticks in my memory is The River Cottage Cook Book as I read it at a time when I was thinking about how I wanted my life to be and I think it helped me make some decisions that meant I ended up here. 5. What’s the best holiday you’ve ever been on? I guess I'd say the last one, because having children makes it so special and the focus of it all changes. Before children it would be our honeymoon to Thailand - We stayed in an Eco Friendly hotel and it was nothing short of amazing. 6. If you could go back in time and change one thing, what would you change? Nothing at all. I think time travel would be dangerous, what with the butterfly effect and all, but then I guess any changes would have already happened so it wouldn't matter! 7. If you could change anything about the way you were raised, what would it be? I often say that I think I had the best childhood possible and that's what I'm trying to emulate with my own children. I guess I wish money had been easier for my parents so they didn't have to work so hard, but then again that's shaped us all into the people we've become so I can take real positives from it. 8. Your house, containing everything you own, catches fire. After saving your loved ones and pets you have time to safely make a final dash to save any one item. What would it be? Hard drive with my photos on it, but then I have a backup at my parents house. New Zealand, Canada, France or Italy, I think I've looked at living in them all! 10. What makes you really angry? I'm sure I'd share the same one as Kirsty on this - people. Not my friends or family but people in general! I think misanthropy is the word! If it's just one thing and to be selfish my hayfever! Write a book, one day I'd love to write a book. I guess knowledge and experience (and writing ability) are the things stopping me as well as time and dedication! Maybe one day I'll see my name in print. Anything on my homestead, with my children. When I get home and they're desperate to come outside with me and help it just makes me happy. I laugh all the time, but I guess, rather cruelly, when I tickled one of my girls so much last night she wet herself! I felt so guilty but it was pretty funny! We both had to jump in the bath! I try not to worry about too much if I can help it. I guess the health of friends and love ones is something I'd never want to loose. Delivering my son on the bathroom floor. Little bit more involved than I wanted to be I guess, luckily it went well and we can laugh about it now! I think I have strong family values and try to be a good father, husband, son and brother. I'm going to be sickly sweet here and say remove all childhood illness and diseases, it just breaks my heart to see it. 3. If you had six months warning do you think you could grow all you needed to feed yourself and your family. Kev - i loved your answers to Tricky Wolf's and Kirsty's questions! 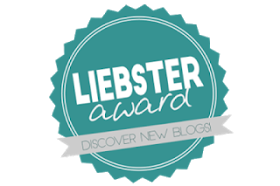 i like these Leibster things - not because they are an award - but because you end up finding things out about your blogging friends. i loved your answers to Tricky Wolf's # 3 and #7. Cheers Kymber - I loved yours as well. It's fun learning about each other and questions we wouldn't normally ask. I think #7 will always hold a special memory for me! Hi Kev, Thanks for nominating me...I feel very honored but I honestly don't know what to do with myself with answering questions or make questions for others...not a very confident person and wouldn't know who to nominate either...Please forgive me if I couldn't and wouldn't participate. Thanks Dawn, I think last time it was you that nominated me, but that was few years ago! Buy a big track of land out in the desert south west in the middle of nowhere, 100 miles from the nearest neighbor. And put a 50 cal Gatling gun on each corner to keep the freaks away. Not a chance. The growing season is to short here. Can't remember, must have not been all that funny. PS, keep your eyes on the post, your care package should be arriving any day soon. Thanks Kev! Great questions, I will have to think carefully, I'll write my post soon :) Interesting to read your responses in this post too.